Hollis Johnson/Business InsiderThings are starting to look dire at MoviePass. MoviePass’ parent company, Helios and Matheson Analytics, has less than three months of cash left at the rate it was burning through its funds in the second quarter. Even reducing its burn rate by the amount executives have predicted wouldn’t do much to stem the flow. When it’s run low on funds in the past, Helios and Matheson has repeatedly issued and sold new shares to raise cash. But that tactic may be coming to an end; it already increased its share count by more than 9,000% in the past two weeks, and its stock price is inching closer and closer to $US0. Enjoy your MoviePass subscription while you’ve got it. You may not be able to use it three months from now. Helios and Matheson Analytics, the parent company of MoviePass, has less than three months’ worth of cash left, the company revealed Tuesday in its quarterly report. And that may be overstating things. It could run out of cash much sooner than that if it has overstated the degree to which new restrictions on the service – including a new three-movies-a-month limitation – will reduce the rate at which it burns through cash. The company cautioned investors in the report that its cash was running low, and it reissued a “going concern” warning. The company did not immediately respond to a request for further comment. As of Friday, Helios and Matheson had just $US26 million in cash on hand. It had another $US25.4 million on deposit at its merchant bank, which processes payments on its behalf. By contrast, the company burned through more than $US219 million in the first six months of the year – $US150.8 million of that in the second quarter. The company burned cash in the second quarter at a rate of about $US50.3 million a month – an amount nearly equal to all of the company’s cash and accounts receivable on Friday. 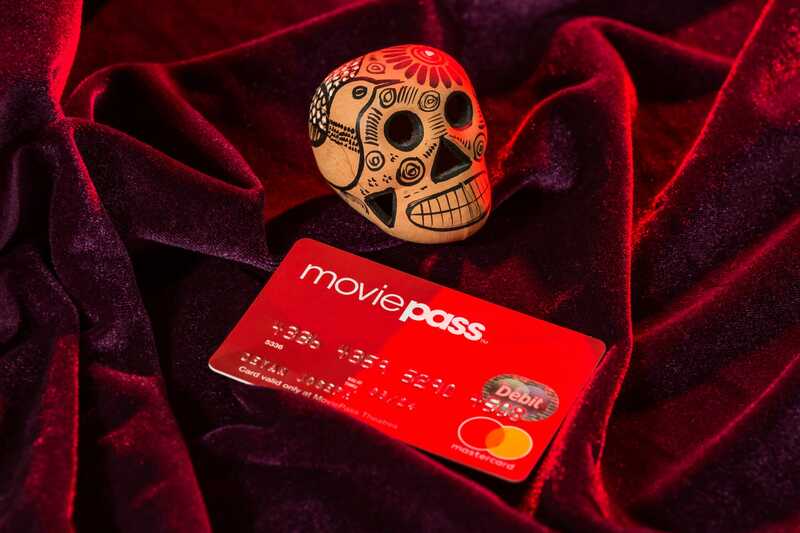 But Helios and Matheson has been making changes to its MoviePass service, which is its only significant business, to conserve cash. Most notably, it plans to limit the number of movies subscribers can see at no extra price to just three a month – down from one a day. MoviePass CEO Mitch Lowe told The Wall Street Journal he expected the changes, which take effect Wednesday, to reduce the company’s rate of cash burn by 60%. Assuming that figure is accurate, it would mean Helios and Matheson would burn cash at about $US20.1 million a month – or nearly 40% of the cash it had on hand as of Friday. Even at that rate, the company would be out of funds by November. And that’s assuming things don’t get dramatically worse, which again may be a big assumption. 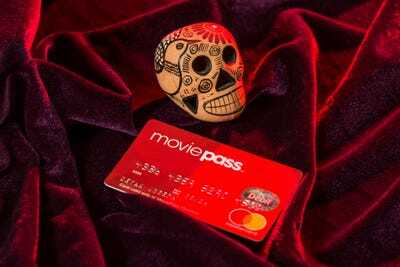 One of the things Lowe has repeatedly crowed about is the sharp rise in the number of MoviePass subscribers – and the value of the data the company is collecting from them. But the recent changes to the company’s service seem to be taking a toll on its users. As of Saturday, the company had 3.2 million subscribers, which was up by just 200,000 in the six weeks since the end of June. From December to the end of June, MoviePass added 2 million subscribers, or about 333,333 a month. When the company has run low on cash in the past, it has issued new shares to raise funds. And in the report it raised the prospect of doing that again, noting that it had already filed a regulatory document indicating its intent to sell as much as $US1.2 billion worth of new shares. In fact, the company has already been issuing lots of new shares to generate cash. Between June 30 and last Friday, the company issued and sold 232.4 million new shares on the market, raising some $US50.2 million. But the company’s ability to keep repeating that tactic seems dubious. It’s already in danger of being delisted from the Nasdaq stock market for having a share price of less than $US1, a move that would severely limit its ability to sell new shares. Last month, Helios and Matheson attempted to boost its stock price above that threshold by reverse splitting its stock, giving investors one of its new shares in exchange for 250 of its old ones. The move worked only temporarily; within a week, the company’s stock was again trading at less than $US1 a share. On Tuesday, it closed regular trading at $US0.05 a share, and it sank under $US0.04 a share in after-hours trading. It looks set to fall even further after the company revealed in the report just how much it had diluted shareholders in just the past several weeks. After its reverse stock split, Helios and Matheson had just 1.7 million shares outstanding. By July 31, it had 6.7 million shares in circulation. By Monday, however, it had 636.9 million outstanding shares. That’s an astounding 9,423% increase to its number of shares in less than two weeks. In after-hours trading Tuesday, shareholders seemed to already be starting to take the new, previously unreported dilution into account. In recent exchanges, Helios and Matheson’s stock was down more than a penny, or about 29%, to $US0.04 a share. The further the company’s stock falls the more shares it will have to sell to raise additional funds. And the more shares it sells, the less each share is likely to fetch on the open market. For the quarter, Helios and Matheson reported a loss of $US63.3 million on sales of $US74.2 million. In the same period a year earlier – which was before it took control of MoviePass – the company lost $US5.2 million on $US1.1 million in sales. The company’s cash burn was almost double its stated loss in part because it recognised big paper gains because of the reduction in some of its liabilities. All of which is to say that something could change soon – the company could get a strategic investment from another, larger company, or it could get acquired wholesale. But with things being as they are, MoviePass subscribers should, perhaps, buckle up for the worst-case scenario before the end of the year. CORRECTION (8/14 7:39 p.m. PT): An earlier version of this story misstated the rate at which MoviePass is burning cash. The company spent $US219 million in the first six months of the year, not the previous quarter, as originally reported. As such, the story has been updated to reflect that MoviePass has less than three months worth of cash, not two months.